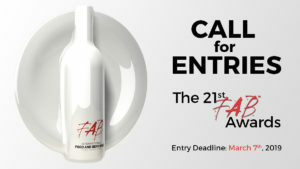 The 21st FAB Awards are Now Open for Entries! By Newsroom on November 27, 2018 Comments Off on The 21st FAB Awards are Now Open for Entries! 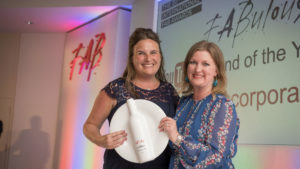 The 21st edition of The FAB Awards are now open for entries. 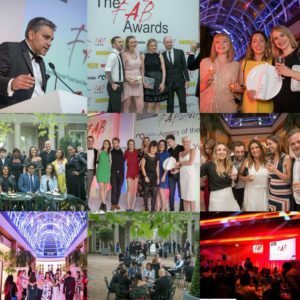 The Awards are the only International Awards programme in the world which focus solely on work done for Food and Beverage brands, and includes categories for Integrated Campaigns, Advertising, Packaging Design, Direct, Sales Promotion, Brand Identity, Interiors and Retail Environment, Mobile Marketing & Advertising, Digital Projects, Social Media, Influencer Marketing and Branded Content. Earlier this year, FAB received 3,600 entries from over 50 countries globally. BBDO New York were named the FAB Agency of the Year. In fact, it turned out to be a great year for BBDO Worldwide, with AMV BBDO and BBDO India also walking away as winners. Other major winners included the likes of Design Bridge, Turner Duckworth, B&B Studio, Cossette Canada, CADA Design, JWT London, Leo Burnett London, Happiness – FCB Belgium, Magpie Studio, Mystery Design, Design LSM, Taxi Studio and VCCP. Mars, Incorporated were awarded The YouTube sponsored – FAB Brand / Marketer of the Year Award for 2018. Other brands recognised included: Burger King, Fortnum & Mason, Cadbury’s, Kit Kat, McDonald’s, Nestle, Carlsberg, Coca Cola, Heineken, Kellogg’s, Pepsi and Sainsbury’s. A full list of the various Finalists and Winners of The 20th FAB Awards can be seen here. 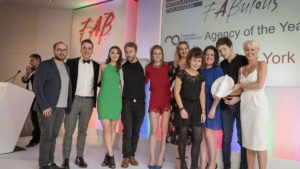 Traditionally held in May in London, The FAB Awards Ceremony has been attended over the years by Arla, Diageo, Kraft, Mars, McDonald’s, Heineken, Carlsberg, Coca Cola, Nestle, Pernod Ricard, PepsiCo and several other Brand owners and guardians. The day of the ceremony kicks off with The FAB Forum, which is an exclusive ‘invite only’ thought leadership session sponsored by YouTube and hosted at Google’s St. Giles Venue. All entrants of The FAB Awards are invited to The Forum. The deadline for entry submission for The 21st Awards is March 7th 2019, with a 10 per cent discount on offer for those who pay their entry fees before 31st December.